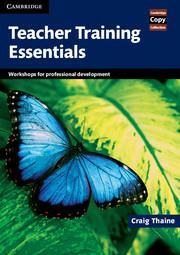 This book of ready-to-use teacher training workshops is designed to provide a bank of perfectly planned and structured sessions with accompanying photocopiable worksheets. The sessions develop trainees' and teachers' knowledge of three key areas: methodology, language and theory, and encourage them to actively reflect on their own prior learning and experience. These workshops are ideal for in-house and in-service teacher training as well as preparation for awards such as CELTA, DELTA, Trinity CertTESOL and Trinity LTCL Diploma TESOL. 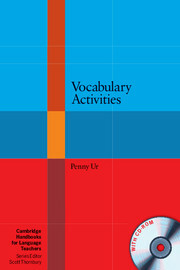 They are also suitable for those taking B.Ed and PGCE courses. Each teacher training workshop consists of 2-3 photocopiable worksheets accompanied by comprehensive trainer's notes. Workshops are suitable for a range of teaching experience: pre-service, new in-service or experienced teachers. Trainees will benefit from learning about teaching methodology in training sessions which are models of good teaching practice.